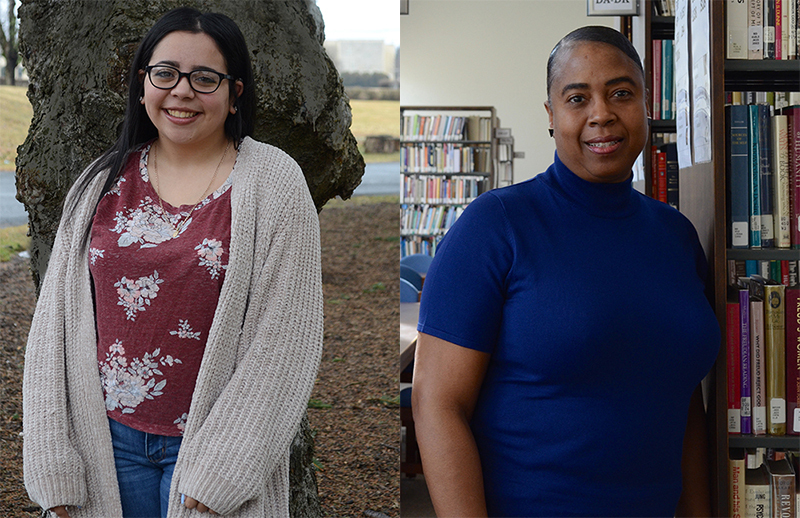 Two Manor College students, Vera Lewis and Lineth Ciciliano, have been named semi-finalists for the Cooke Undergraduate Transfer Scholarship. Sponsored by the Jack Kent Cooke Foundation, the scholarship is available to students working toward two-year degrees, and supports high-achieving students as they transfer to four-year schools. The semifinalists were selected from a pool of nearly 1,500 students across the country. Lewis and Ciciliano, who are both studying in the pre-nursing program at Manor, represent two out of eight finalists chosen from the state of Pennsylvania. Scholarship winners are selected based on achievement, academic prowess, financial need, service and demonstrated leadership. Learn more about the Cooke Undergraduate Transfer Scholarship.